paper’s title that appears in the upper left-hand corner of each page in all uppercase letters. 1. 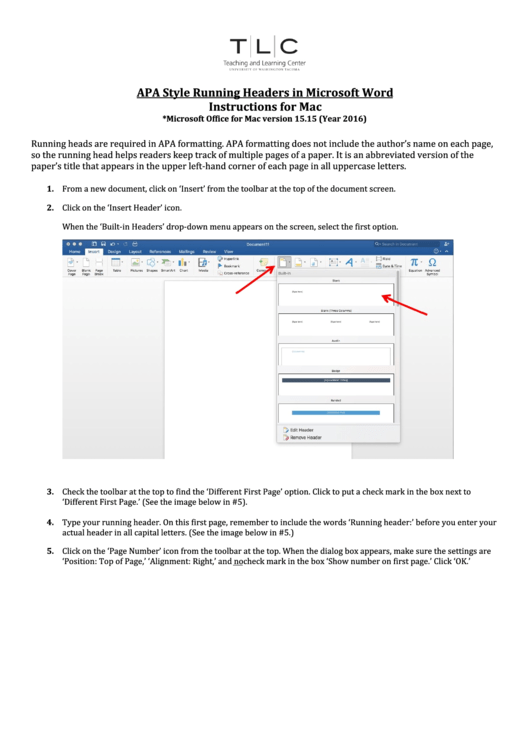 From a new document, click on ‘Insert’ from the toolbar at the top of the document screen. 2. Click on the ‘Insert Header’ icon. When the ‘Built-in Headers’ drop-down menu appears on the screen, select the first option. ‘Different First Page.’ (See the image below in #5).